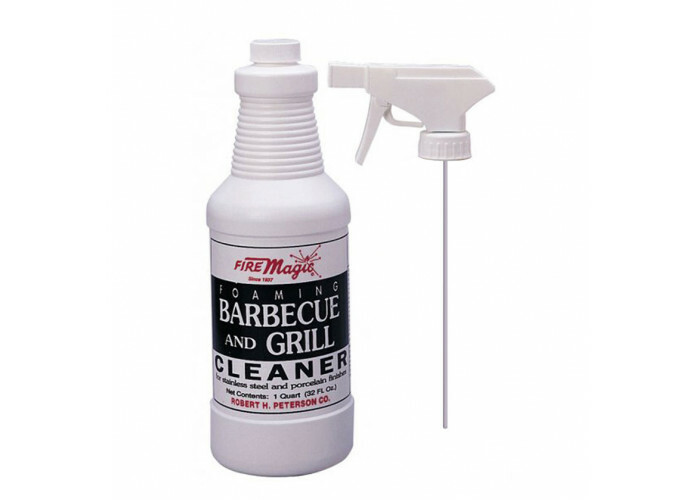 Fire Magic Grill Cleaner is specifically formulated for use on stainless steel and porcelain finishes. It can be used on the entire grill and is designed to loosen grease and baked-on soil without harming surfaces. Non-toxic. Quart with foaming spray nozzle.